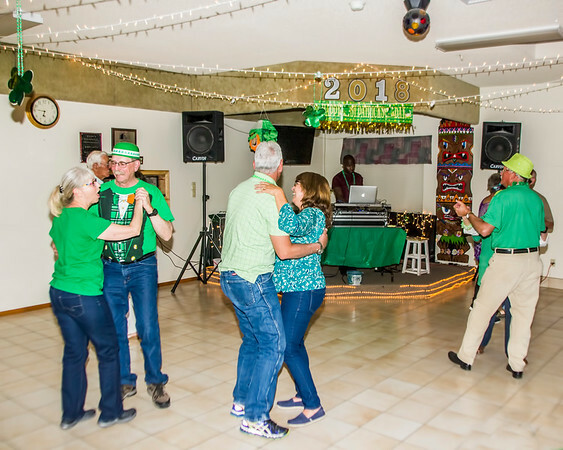 It was time to celebrate St. Patrick's Day at Twentynine Palms RV Resort! 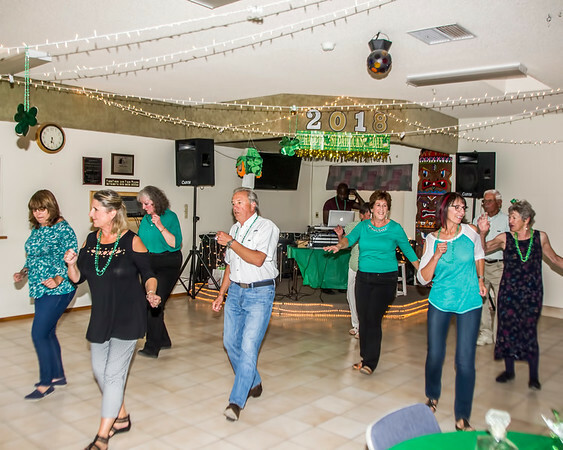 We started the evening off with a wonderful traditional St Patrick's Day meal of Corned Beef and Cabbage, cooked carrots and potatoes and fresh bread and a nice dessert. We had a nice crowd of over 40 people! 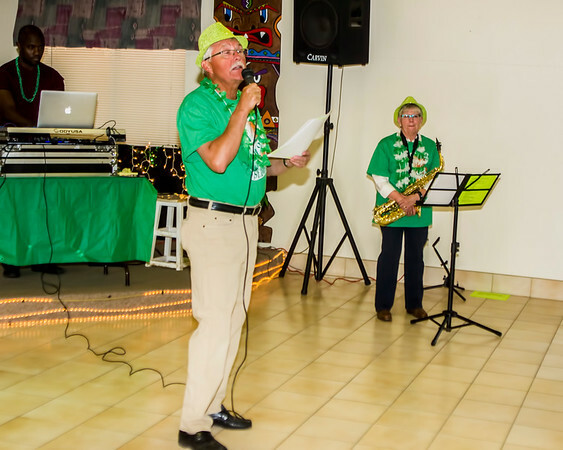 Our own Park Leprechauns led the crowd in a few traditional Irish Songs, great to welcome Jim and Anita back to the Park! 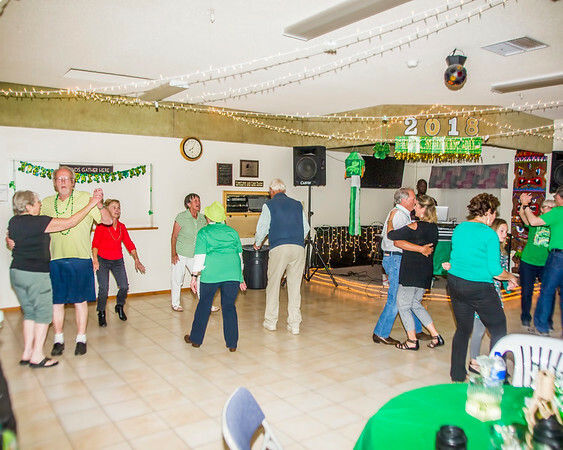 Then the music started and the dance floor filled! 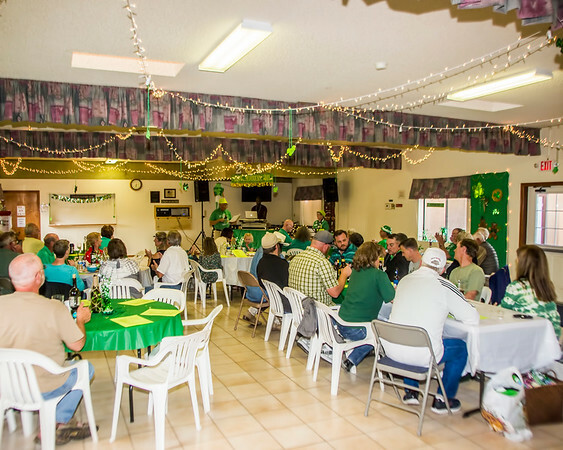 It is hard to believe that we only have a few more weeks of Saturday Night Dinners and Music, the season has gone by way too quickly! Many of our winter people are making plans to return North in the coming weeks! We will still have activities through most of April, but limited! 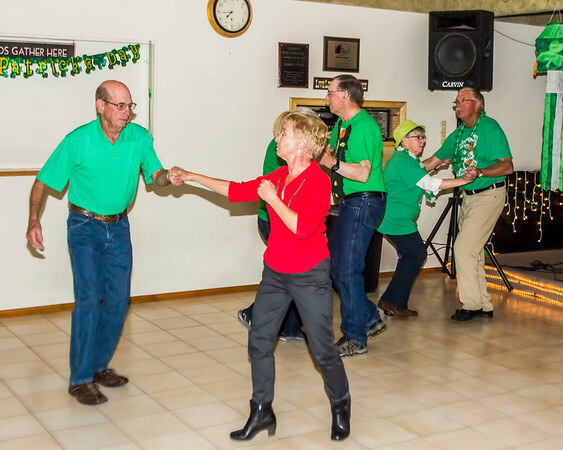 Stay Tuned some great PotLucks planned for our Saturday Nights in April! Our best wishes for Jim Groos who had his Gall Bladder removed the other day, we hope he has a quick recovery and back to the park soon! Stay tuned to the calendar we still have fun planned! 2018 Luau "Bury the Pig"